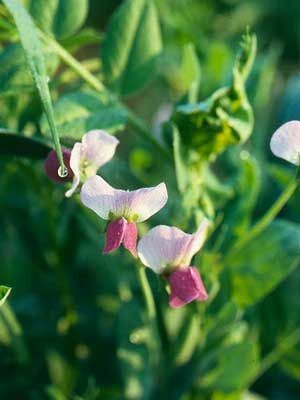 A cool-season annual, winter field peas (Austrian peas), can tolerate heavy frost but are killed by temperatures below 0to -10F (-17 to -23C). In the US, they are rated as hardy to Zone 7. When using winter field peas to improve very poor soil, mixing a balanced organic fertilizer into the soil before planting will give better results. Poke holes in prepared seedbed and plant seeds 1 to 2 inches (3 to 5 cm) deep. Gaps between plants can be filled with an upright grain. Primarily grown to increase soil nitrogen. Highly recommended as a winter cover crop to go before sweet corn because of its vigorous nitrogen-fixing activity in early spring. Very low weedy potential compared to other cover crops.